Having been there, I can get as teary-eyed over a young couple with their first baby as anyone else. There are several such new babies in my close circle. But also having been very slightly there, although always with the complacent bourgeois knowledge that it was only temporary, I can get as teary-eyed as anyone else over young people with absolutely no money whatsoever. A bargain at £16,470 p.a. The problem this week has been with the unbelievable insensitivity of well-paid morons pontificating on the television and radio about what they assume to be a ‘normal’ income. 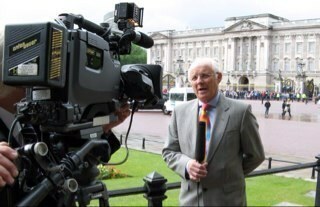 The very worst was the royal brown-noser, Dickie Arbiter (yes, that really is his name), telling us on BBC Radio News that ‘anyone’ could go to the pre-prep school called Wetherby’s in Notting Hill Gate which the current second-in-line to the throne attended (the fees are an eye-watering £16,470 a year for each boy). An 'Ordinary British Family House'? 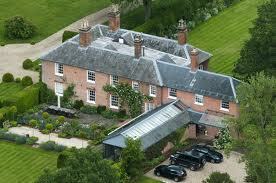 The second worst was the insistence that Prince William just loves ‘the ordinary lifestyle’ of his in-laws. If it is true that he believes that being a millionaire living in a Bedfordshire country home with 12 bathrooms (let alone bedrooms), costing vastly over 2 million pounds, is ‘ordinary’, then we have a problem with the interplay between reality and the cognitive powers of Our Future Leader. The other insults to the poor were just commonplace: ‘Astounding! The new mother’s parents TOOK AN ORDINARY TAXI! !’ (which in central London few people can afford). I don’t want to go on. In the season which has seen such drastic cuts in Benefits, such media smugness, the ‘let-them-eat-cake’ idiocies of our time, have made it a raw week psychologically for too many people in Britain. My personal response has been finally to fulfil promise-to-self to become a fully paid-up supporter of the Child Poverty Action Group. But my response as an academic was to re-read ‘The Tactless Man’ amongst the generic personality portraits, or Characters, of Theophrastus. 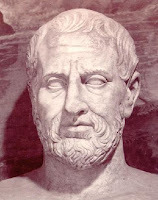 The definition of an ancient Greek Tactless Man, says the dazzling Theophrastus, is that he reminds everyone, while in the presence of a slave being flogged, of a case in which a slave who had been similarly abused went off and committed suicide. It would have been nice to think that we had become a little less insensitive to people born into bad socio-economic circumstances since the fourth to third centuries BC.